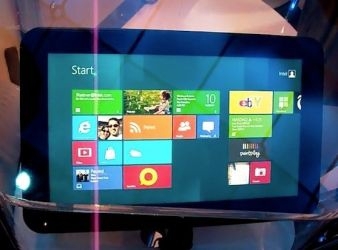 "Intel is offering more specifics on the features of future Windows 8 tablet at a conference in Beijing. It's a laudable goal, but can Intel make it happen this year? Underneath the glass will be beat an Atom Z2760 "Clover Trail" chip: dual-core capable with "burst mode" (for quick bursts of performance when needed) and Hyperthreading -- the latter allows a dual-core chip to behave in quad-core-like fashion in some cases." If you are like me, you often sit under a tree on a great sunny day thinking, "I wonder what sort of specifications Windows 8 tablets will have!" Well, wait no longer, because Intel has published its specs on what things should be like. Some of the requirements are interesting, though I do wonder how many of them will make it into reality, and how many will find themselves quickly changed, like what happened to Ultrabooks. Of course, all these are on paper, and the real sauce will be what the actual experience will be like using a Windows 8 tablet. For that, I remain skeptical.